You can sign up to your own Sandbox environment here. If you have been invited to the Platform, you will receive an email invitation - click the Accept invitation link to reach the above page. You will not have to enter a company. You'll then be sent a confirmation email to the address you provided. You're now successfully signed up! To create an app, click the New Sandbox App button. Give the app a Name and, if you like, a description. The Redirect URI and Install URI boxes relate to implementation of the OAuth flow. If you want to configure your app for OAuth now, please see this support article. If you are just testing the API, you can enter anything here for the time being. Ensure the List this App for other schools to find? tick box is highlighted and click Create App to finish the process. IMPORTANT: When you click the Create App button you'll be given a client_id and client_secret. You must make a note of these now. This is the only time you will be able to see this information. From the Users menu item on the left, you can invite other users to join your company. Click Invite User then enter their email and hit Send Invitation. Go to the Test Schools area and click Add Test School to generate your simulated school data. You can click on the name of the school to get taken to the Platform "school view" - from here you'll be able to see and authorise your app as if you were a school. Now that you have a test app and a test school, you can manually generate an access token which can be used to query our API. You'll then be given an access_token and refresh_token. Make a copy of the information. 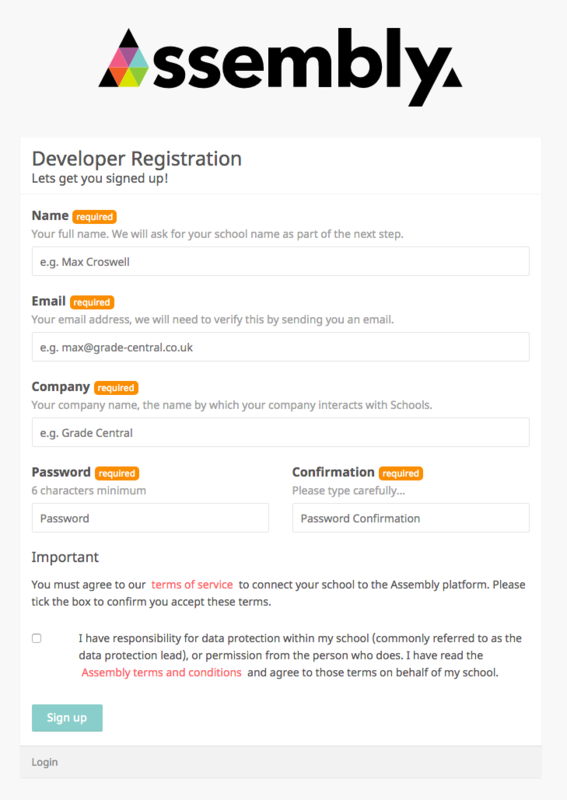 You can then provide this school access_token, preceded by "Bearer ", as an Authorization HTTP Header in your requests to https://api-sandbox.assembly.education. For a full list of the available endpoints, please see our developer documentation. You can also find our FAQs for developers here. 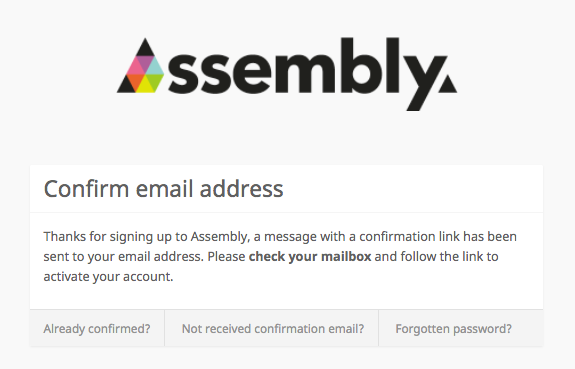 Please note: before your app is ready to go live you will need to implement the Assembly Platform OAuth flow in order to gain access to a school's data. For more information on how to do this, please see this support article. If you are just testing the API, you can skip this step for now - but you must complete it at a later date. If you have any questions about the above please contact help@assembly.education.